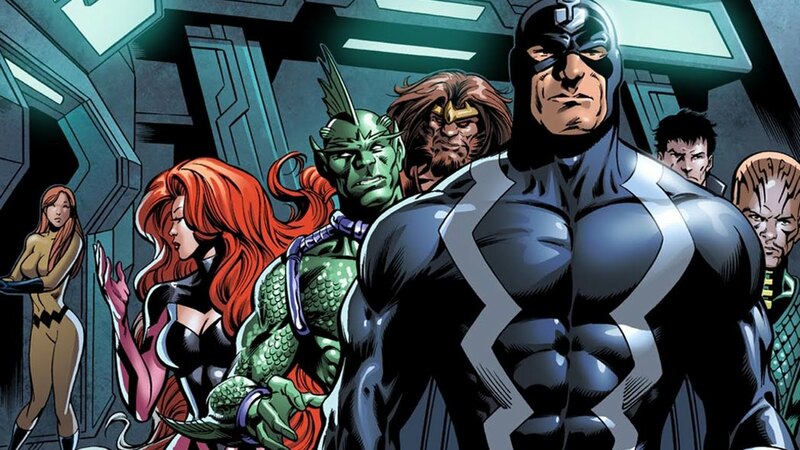 Fans have been waiting and waiting for Marvel to produce an Inhumans feature, originally planned as part of one their big screen phases. That was not to be as the movie was scrapped. Luckily, Marvel Entertainment and Disney had other plans. Today, they announced to exclusively premiere the new ABC series "Marvel’s The Inhumans" in IMAX theaters, making it a first for a live-action television series. "Under the agreement, a version of the first two episodes of Marvel Television’s new series “Marvel’s The Inhumans”--produced in conjunction with ABC Studios and filmed entirely with IMAX digital cameras--will run worldwide exclusively in IMAX for two weeks at the beginning of September 2017. ABC plans to then premiere the weekly series in fall, with additional exclusive content that can only be seen on the network." Centered around Black Bolt and the royal family, The Inhumans, will continue to explore the race of superhumans that have been introduced on ABC's Marvel's Agents of SHIELD. Created by Stan Lee and Jack Kirby in 1965, Inhumans have recently begun to overshadow the iconic mutant team of X-Men that Marvel does not own the movie rights to anymore. That's why you won't hear that term in any of the MCU films but you will in the ones made by 20th Century Fox. As such, Inhumans will be making this groundbreaking move to IMAX and television in an exclusive deal. "We're happy to see this unique deal come together, working with our partners," said Dan Buckley, President, Marvel Television, Publishing & Brand. "In an ever-changing world of distribution and consumption, it’s very exciting to be part of a groundbreaking initiative that takes us to the forefront of this evolution."